Guidelines to ease the transition. I’ll never forget the emotions and craziness when my family moved four years ago. But I certainly wasn’t alone. 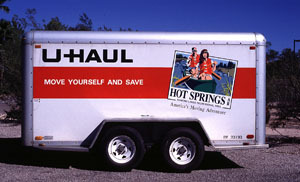 According to www.moving.com, an estimated 19 million American households move each year. While the majority of relocations are local, there are millions of families heading across state lines and some overseas. By heeding these tips, you can help your children adjust to their new surroundings and smooth out what can often be a bumpy ride. Have a plan. Before announcing to children the news of an upcoming move, try to eliminate as many questions as possible. “Hold off on that family meeting until you are more certain of details like when, where and the inevitable but why,” suggests Jill Crawford, LCSW. Children are likely to have many questions as they fully absorb the information. Providing concrete details from the start helps settle some of the anxiety that typically accompanies moving. Respect their feelings. Kids can have all different reactions to moving, from feeling excited and anxious, to angry. As parents, it’s important to let children have authentic reactions to the news. “Kids need to have their feelings validated, whatever they are,” Crawford says. Instead, parents should empathize with their child. Move forward. When talking about the move, offer your children compassion and understanding. Acknowledge their feelings and give them space and time to come to terms with the change. “However, forward movement is always a healthy thing, and while parents are busy being empathic and supportive, they should also be nudging their children toward acceptance of the situation,” Crawford explains. Do the drive-by. If the move is local, you’ll have the luxury of driving by the new house and touring the neighborhood several times. Check out the surrounding areas and let the kids see the local parks, restaurants and schools. Building familiarity in these ways can make for a smoother transition. Settle in. Let your kids be part of the process of settling into the new home. “Ask them what they’d like to do when they get into the new house, like planting a special tree in the yard. Giving your child an opportunity to ‘make his mark’ on the new home will create a sense of belonging and comfort,” Crawford says. Let kids help unpack their rooms and decide where their toys should go, as this will help the room feel more like their own. If your child is artistic, encourage her to make some new artwork to hang in the house. These activities create a sense of belonging for your child and make her feel included in the moving process. Keep the routines. Amid all of the upheaval and change, don't forget the importance of consistency and routine for children. “If you've always made pancakes on Saturday mornings and this is something your child looks forward to, make an effort to continue this tradition,” Crawford explains. Maintaining established household routines helps your child understand that although his surroundings have changed, his family life is stable. Prep for the new school. Often, schools assign a student "tour guide" to partner with a new child. This can provide a nice opportunity for your child to meet other kids alongside an already comfortably established classmate. Be sure to contact your child’s new teacher to ensure your child has a buddy assigned to help her transition into the new school. Moving and saying good-bye is never easy for anyone, and it’s normal for kids to feel anxious about entering new surroundings. But by making a plan, keeping routines, offering encouragement, and giving everyone their own time to adjust, your family has an opportunity to grow closer in your new home.